As a child of the '70s, I grew up intrigued by small, plastic interlocking brick pieces that, assembled together, created something unique, engaging, and visual. LEGOs dominated my world! I recall spending time scouring the toy aisle, hoping my parents agreed to throw a small kit into their shopping cart. It didn't happen often but, when it did, it was euphoria! That process taught me all things related to wonder, yearning, hope, patience, and joy, in addition to the more pragmatic skills of creation, assembly, and following instructions. The physical creation is obvious here. Both LEGOs and painting produce something tangible, visible. This is part of the reward mechanism built into both processes. The interesting part to me is the level to which those are prescribed: LEGOs come is sets with well thought out instruction manuals while painting has no such guidance. This leads to my next point. 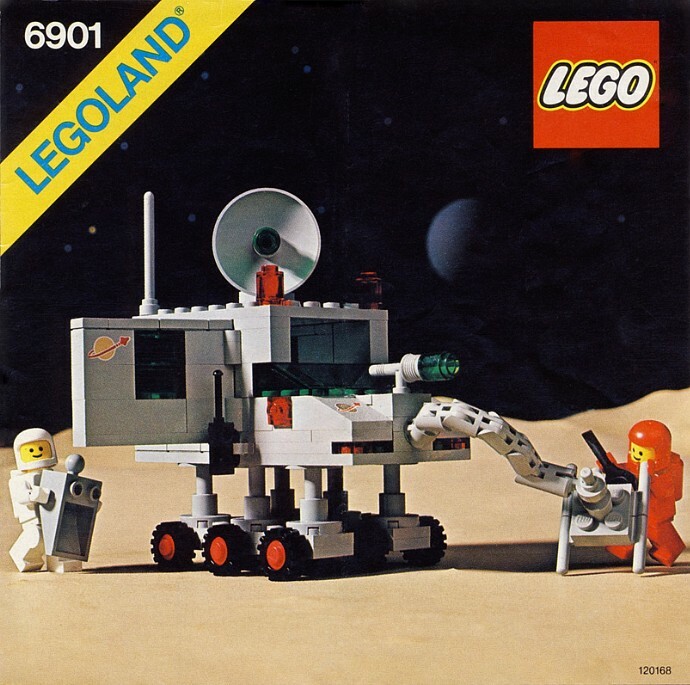 As a kid, I recall the nearly simultaneous joy and agonizing contemplation upon the completion of a new set build - the truck, ambulance, spaceship, and, if lucky, the combination of several of these into a small, multi-faceted town. Immediately, I would think: Should I keep the original set in tact and enjoy it as it was sold, or tear it all apart, add the individual pieces to the growing pile of sets that met a similar fate, and use the pieces to create something of my own? It was a true struggle. More often than not, I chose the latter, letting my imagination take over on a new LEGO adventure. At that level, I now see the draw between using the pieces of something physical and/or mental to create something truly unique and more valuable. Both are iterative processes that rely on the past to further enhance the notion of creation. That same practice is evident in my own children as much of what they enjoyed making came from the combination of pieces that started in a big pile of disassembled sets collected over the years. Holy cow, the choices! I recall kits like the one to the right: a total of 29 pieces that, fully assembled, created a small work truck. Now, mind you, that truck was special and unique - just look at the axles, wheels, clear wind shields, and upright panels!! It was revolutionary and highly sophisticated! In today's world, while the underlying premise is still the same, look at the options and choices below! 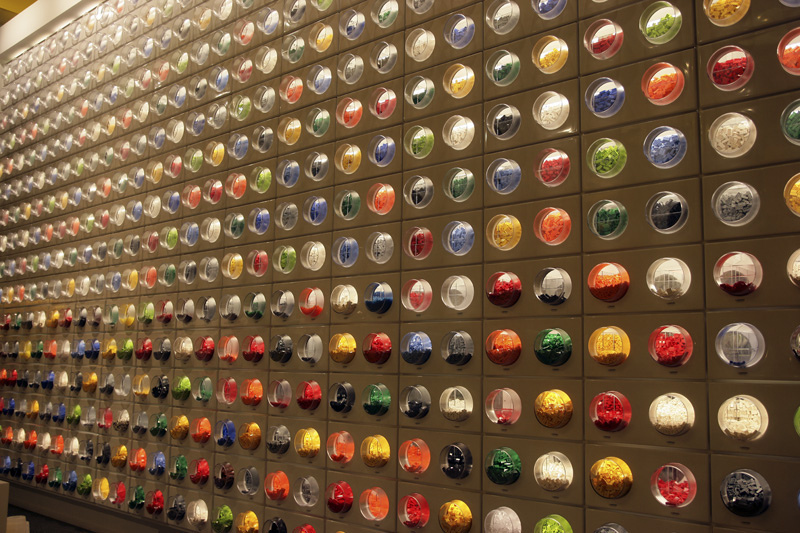 You can literally choose from hundreds of standard pieces from a LEGO Store Pick-a-Brick Wall! I've stood before such a selection with my kids and it creates a mental block. There are too many options! I've seen this before in my own artistic journey, too, as I've struggled to understand the magnitude of supplies, theories, and methods that can easily overwhelm a new artist. Ever walk into the supply store and gaze at the wonderful colors all tubed up and ready to go? I'm sure you have! While hard to subscribe to, it is important to keep it SIMPLE at the beginning and not get carried away with all of the choices. LIMIT materials and get to know them intimately until you understand how and why to add things to your creative skillset. Take it back to the truck model!! The basics of building blocks are the same today as they were forty years ago. The LEGOs that I played with are basically the same as those that come in today's sets: the dot and locking mechanism on the bricks, plates, and specialty pieces are all the same. Standard. In fact, a brick from my childhood still fits a brick today. The interesting juxtaposition is that, even though the fundamentals are the same, the complexity of those elements are much more advanced today. I recall the awe when kits like the one below (left) came out with hinged pieces, working wheels, and interlocking arms that swiveled, bent, and contorted into custom arrangements. It was a true advancement in LEGO technology. That same notion is still in place today when you observe a modern space vehicle below (right). The same elements of design still exist, it's just that the technology of today enhanced the scale of magnitude on the WOW Meter. Today's model is fancier, more complex, colorful, interactive, etc., but is it more structurally sound? I don't think so. Similarly, in painting, you must have the core design working to fully support the things that are first noticed. Like with LEGOs, the fundamentals of a good painting have not changed in decades, or even centuries for the more seasoned medium. The point is that there are vast similarities between art and LEGOs and I find it interesting to think about both. Aside from the pure nostalgia of joining in a random LEGO building session with my kids and wife (yes, we sometimes do this), I found it interesting to look at the process they both offer and make sense of my desire to learn, grow, and advance as an artist. The basics have been with me for decades! So, the photo of the LEGO artist featured at the top of this post is taken from the top of my dresser. My kids gave me that LEGO figure a few years back as they already recognized what I am trying to write about today: there are ample links to our past, present, and future around us all the time. Sometime, we just have to act like kids to tap into what brings us joy and excitement!